Stiller is a regional provider of a broad range of commercial and industrial properties. Clients can benefit from standard or bespoke properties with flexible tenure arrangements. Our properties are particularly suitable for manufacturers, distributors and transportation concerns and the facilities which we provide range from fully-equipped transport depots to small/medium-sized manufacturing buildings. Stiller also offers short and long term commercial vehicle parking arrangements for national distribution companies which require regional distribution fleet parking. Stiller is the ideal partner to local forward-thinking, growing businesses which require flexible business premises and logistics solutions. 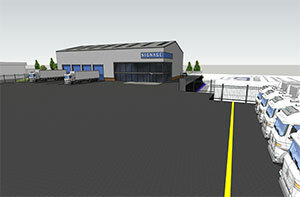 Brand New High Spec Industrial Unit Available with generous external yard and onsite parking. This project is currently in progress. To date, we have completed the foundations, drainage and steel frame erection. The subject building will comprise of a steel portal frame industrial unit of blockwork construction to low levels, with steel profile insulated cladding above. The unit will sit undera pitch steel profile roof. 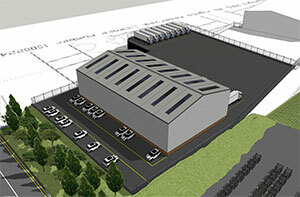 The building will benefit from open plan industrial space with additional office and ancillary accommodation. Vehicular access to the unit will be via a number of up and over roller shutter doors, whilst pedestrian entrance door access will be provided by a single pedestrian entrance door. A generous yard area and ample parking provisions will be available on site. 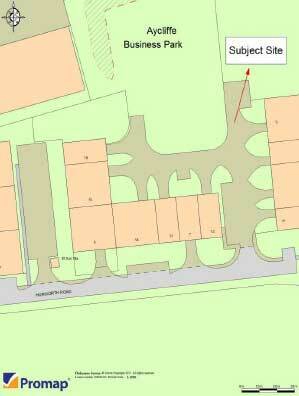 The subject site is located to the west of Whinbank Road, just off Hurworth Road. The site is within the Newton Aycliffe Business Park which is home to over 250 companies providing employment to in excess of 8,000 people. Aycliffe business park is located within County Durham approximately 0.75 miles from junction 59 of the A1M and 1.5 miles to the south of Newton Aycliffe Town Centre. Darlington lie approimately 6 miles to the south east and Durham 13 miles to the north. The park is served by a number of principal bus routes and is situated approximately 15 minutes hourney time from Newton Aycliffe Station. GIA 1,807 sq. m, GIA 19,460 sq.ft. The subject unit is available to let on flexible lease terms at a rental figure of £5.50 per sq.ft, exclusive. An EPC will be commissioned upon completion of the unit. We understand the unit will be connected to all main services. Each party to bear their own legal and professional costs incurred in the transaction.. 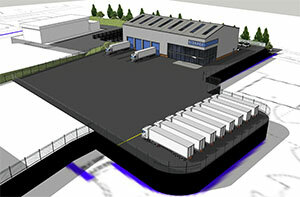 Upon completion, the unit will be assessed individually for business rates purposes. All figures quoted are exclusive of V.A.T. All offers made will be deemed to be exclusive of V.A.T.